Most of you would remember the ‘Taarzan the Wonder Car’, a movie that not only brought Dilip Chhabria into the limelight, but also gave a push to the mod car culture in the country. The Ajay Devgn-starrer showed how a young guy modifies a really old, rotting vintage car into a very attractive sportscar. Actually, the modified car shown in the movie was based on a second-gen Toyota MR2. In reality, this modified car was the work of none other than Dilip Chhabria, the famous Indian car designer. This wonder car caught the attention of the entire nation and was even put on sale after the movie was released. However, no one was willing to shell out a whopping Rs 2 crore for something that was actually a dated sportscar with no proven crash protection on offer. In due course of time, the asking price was reduced to a lot more affordable Rs. 35 lakh. Still, the Wonder Car failed to find any takers. Last year, we became aware of the car’s isolated and shabby condition. The above video, however, shows that the modified Toyota MR2 was recently acquired by someone and is undergoing a transformation. It’s likely that the new owner purchased the car at its scrap value. 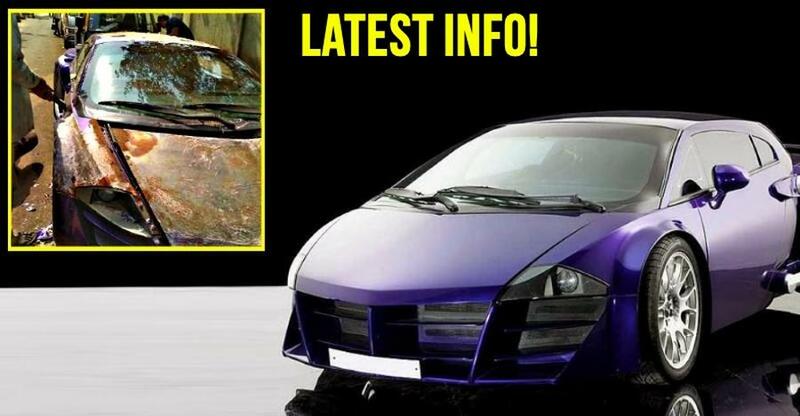 As per this video, it was initially planned that the Taarzan would soon look like a Lamborghini. However, a new video we have above says that the Taarzan will not be remodelled to something new and instead, will look like the car we saw in the movie. The first video states that the Taarzan is undergoing restoration at a workshop in GTB Nagar, Mumbai. The first video also shows a mechanic scrapping off the original paint of the car. Basically, the MR2 that started life as a rotting old car in the fictional world is finally being resurrected from scrap in the real world. Powering the Taarzan is the same 2.0-litre turbocharged petrol engine that powered the original car. This motor has a maximum power of 218 bhp. The engine comes mated to a four-speed automatic transmission. We’re happy to know that the Taarzan is about to be restored to its former glory.